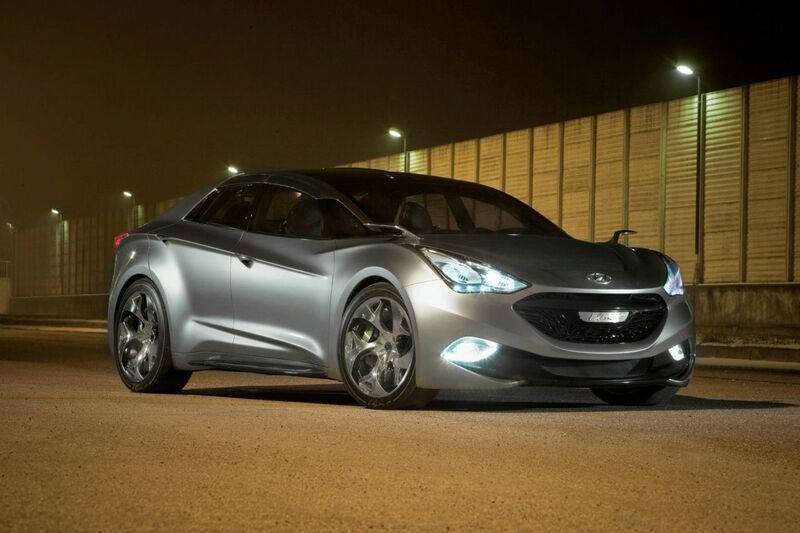 Making its official world premiere at the 2010 Geneva Auto Show, the Hyundai i-flow concept car carries forward the automaker’s evocative new form language called “fluidic design”. 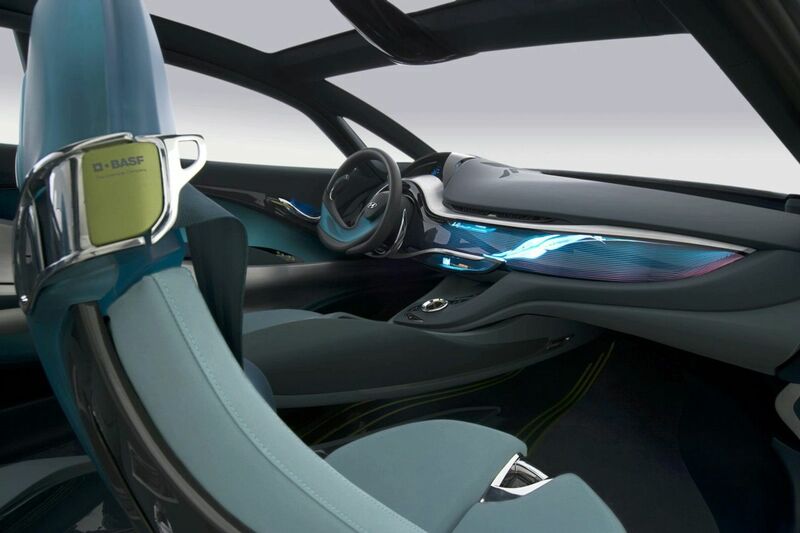 Flowing lines incorporated to the body of the concept car not only create a futuristic shape, but also contribute to exceptional aerodynamics and help to reduce the car’s CO2 output to just 85g/km. 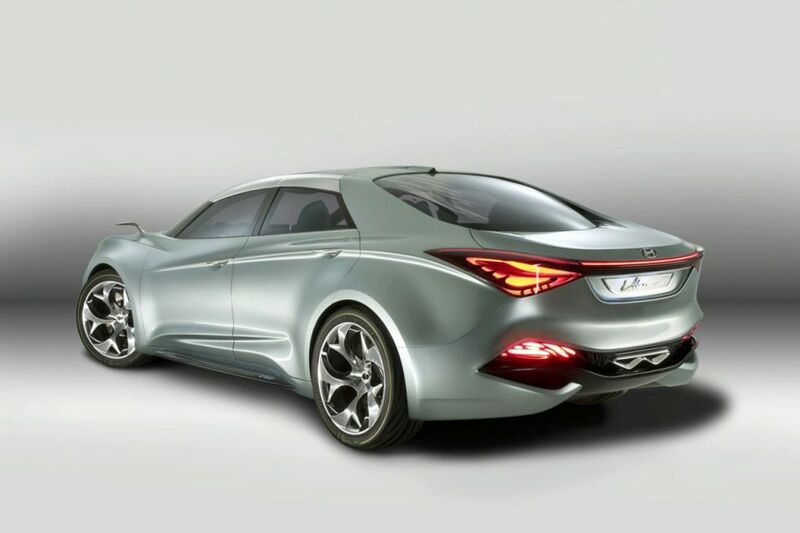 The key factor in delivering such an environmentally-conscious performance is Hyundai’s first-ever diesel hybrid powertrain and application of next-generation technologies and materials developed in conjunction with world’s leading chemical company BASF. With an overall length of 4.780mm, 1.850mm width, 1.420mm height and a 2.800mm wheelbase, give the i-flow a stance which is more akin to a coupe than a traditional mid-size sedan. 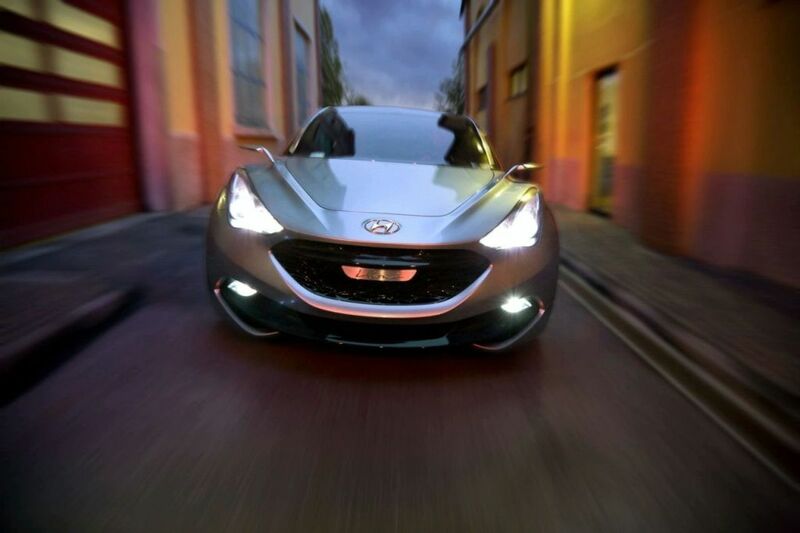 Despite its sporty appearance, the i-flow concept car redefines the perception of space. Fundamental elements, such as the seats and centre console, were crafted for minimal weight and volume using cutting-edge materials from BASF. Hidden under the sleek bonnet is automaker’s first diesel-electric hybrid powertrain, which mates the all-new two-stage turbocharged 1.7L diesel engine with six-speed dual-clutch transmission and Lithium Ion-Polymer batteries. 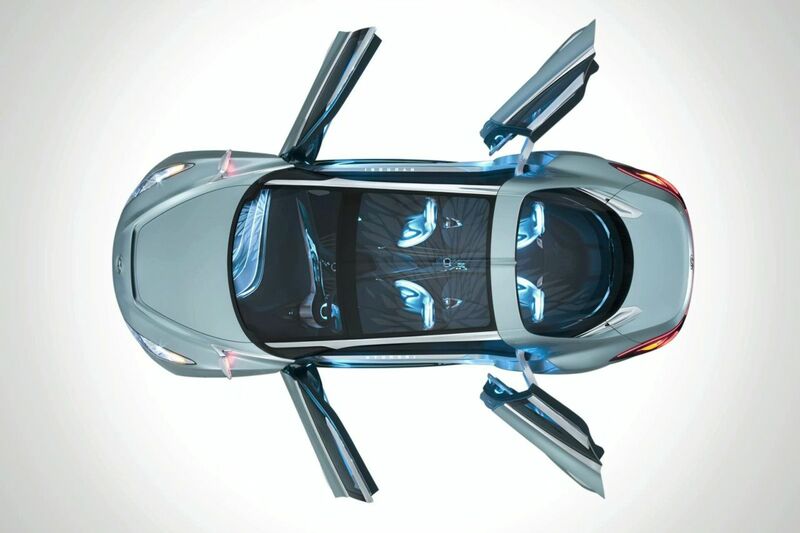 According to Hyundai, the i-flow concept car is a test bed for new energy harvesting ideas, ranging from flexible solar panel roofing to a thermo-electric generator which uses exhaust heat to produce power. 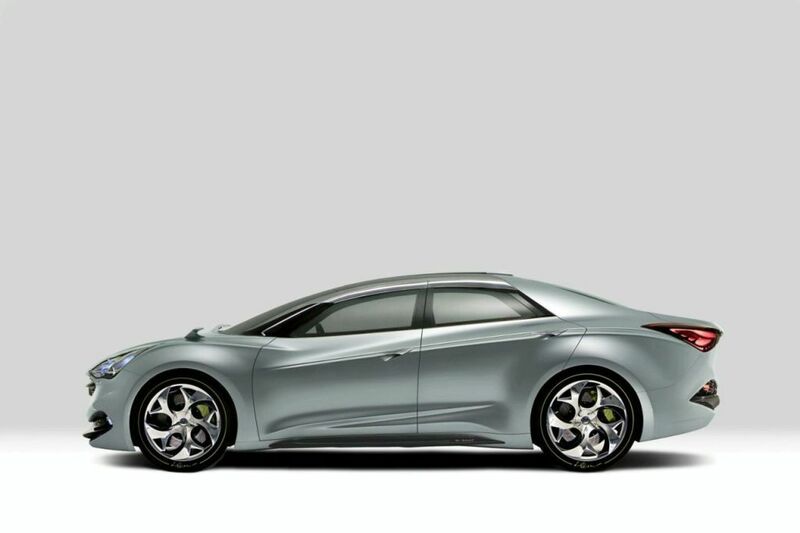 The i-flow’s looks and technology point the way to a new D-segment family car which Hyundai plans to launch in Europe. 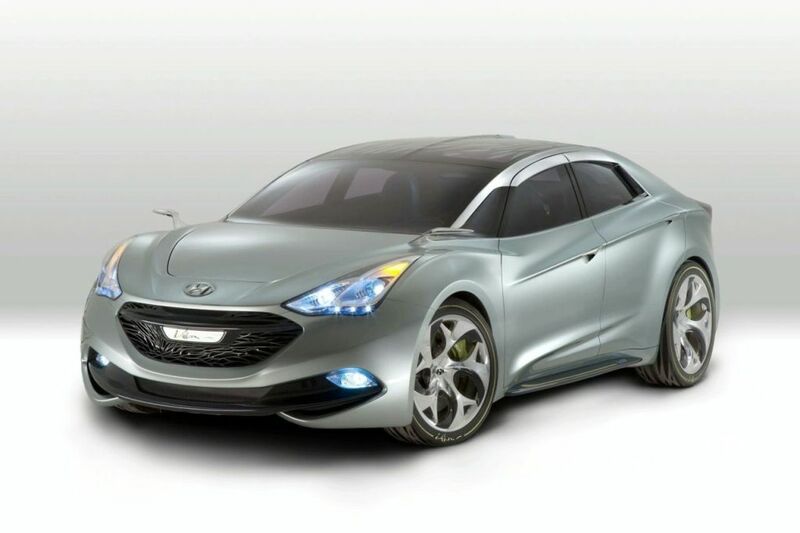 Reportedly, the all-new D-segment sedan is scheduled to make its official premiere in early 2011. 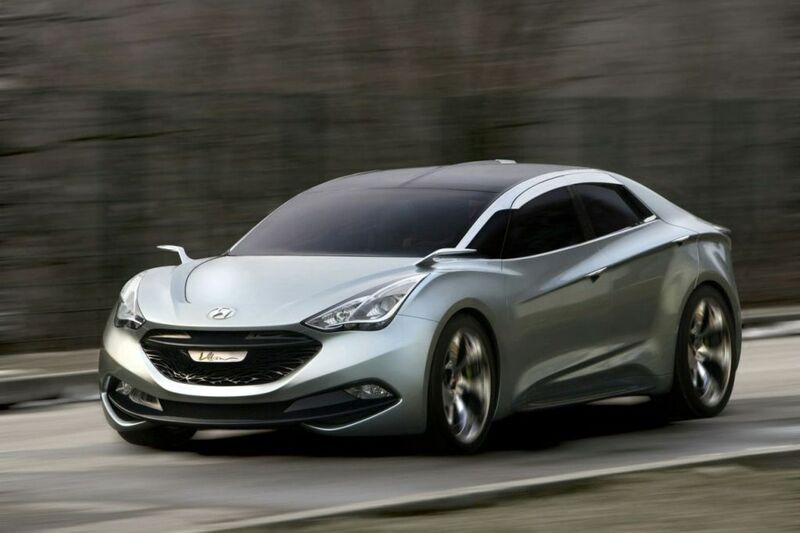 It is expected to share core technologies with 2011 Hyundai Sonata.